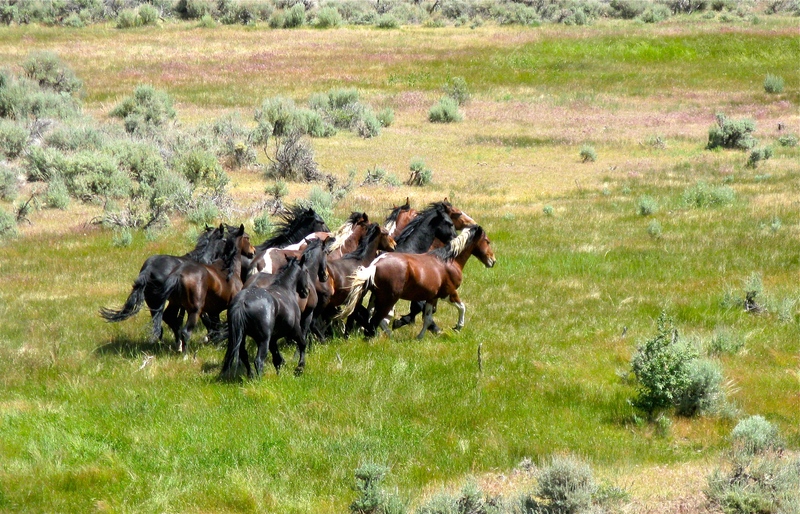 There’s something primeval about a herd of wild horses running free on open land. Misty is a townswoman. Loves her luxuriant baths, and morning coffee on the sun-blessed porch. Enjoys her job at Virginia City’s Bucket of Blood Saloon serving Harley riders, old codgers and wide-eyed RVers. But Mistyʼs days off are often spent in Nevada’s stark desert terrain between Virginia City and Carson City, looking, thinking…waiting. Sometimes she only catches a fleeting glimpse. On her lucky days they run toward her and linger nearby, grazing and stomping the dust, seeming to enjoy her nearness. She likes that no one owns them, no one controls them. They run free, where and when they chose. The wild horses donʼt let little things like humans and their ways disrupt them. Even when a trainload of tourists goes by on the Virginia & Truckee Railroad, noisy steam engine and all, the band of proud horses stands its ground. They run on their schedule. 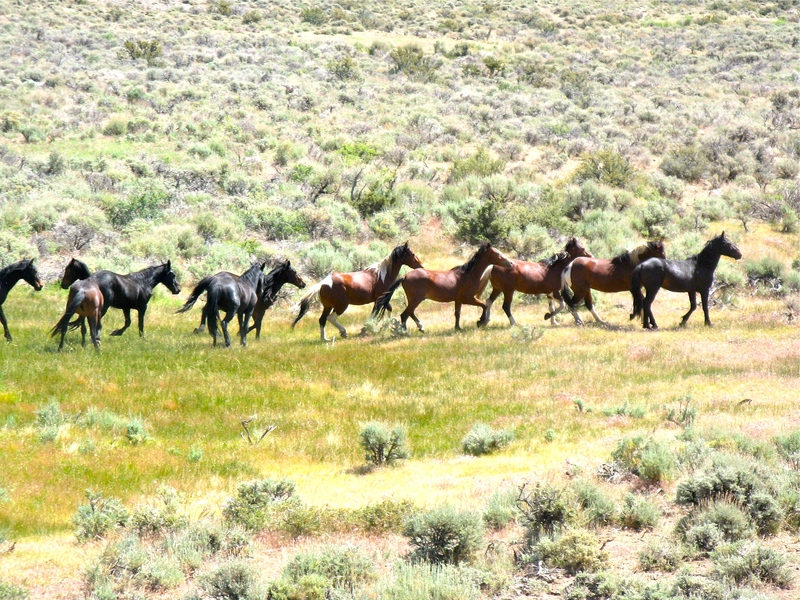 Tags: Nevada, wild horses. Bookmark the permalink.